Leaders from organizations representing millions of current and former service members and their families are urging continued strong enforcement of the Military Lending Act, in letters sent Thursday to Secretary of Defense Jim Mattis and acting director of the Consumer Financial Protection Bureau Mick Mulvaney. “Service members and their families suffer harm when predatory lenders target them with financial fraud and extremely high interest rates,” wrote the advocates, leaders of 38 military and veterans service organizations, in two separate letters with the same content. The letters were in response to recent reports that the Consumer Financial Protection Bureau is considering pulling back on its regular examinations of payday lenders and others, to ensure they are following the Military Lending Act. Advocates have raised concerns that removing this supervisory authority, in effect providing less monitoring of these lenders, would mean less deterrence in the marketplace. The Military Lending Act of 2006, and the DoD regulations that implement that law, limit the maximum annual percentage rate to 36 percent on most consumer loans to active-duty military and their dependents, including application fees and certain other fees in the calculation. Generally, most loans’ APR would be less than 36 percent, but loans with even higher interest rates, sometimes topping 300 percent, are still available to everyone else in the civilian community. The law also has other lending protections, such as preventing forced arbitration in lending disputes, which guarantees service members the right to take their case to court. Will the enforcement of the Military Lending Act be weakened? Indications are that the Military Lending Act has had the desired effect of reducing the usage of predatory lenders, said Aniela Szymanski, director of government relations for veterans benefits for the Military Officers Association of America, citing DoD survey results that indicate less use of payday loans by service members. Szymanski and other representatives of some of the 38 military and veteran organizations participated in a press call Thursday. 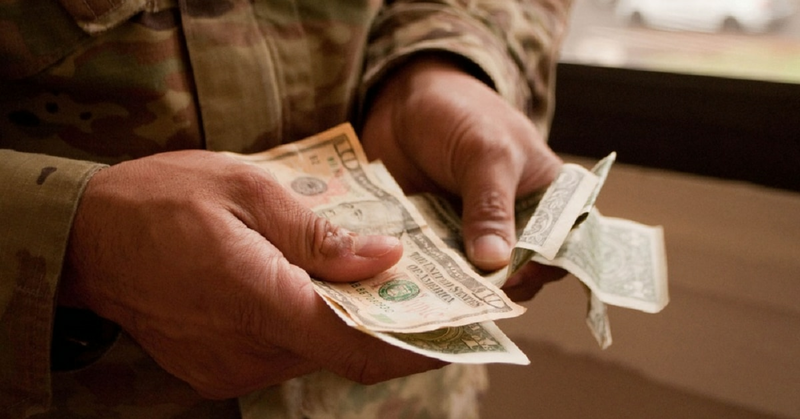 The law, and DoD’s implementation of the law, have resulted in the shuttering of a number of payday lenders and other similar businesses clustered around military bases, said John Davis, director of legislative programs for the Fleet Reserve Association. And after 2011 when the CFPB was formed and began its enforcement actions, there were further drop-offs in the number of these businesses outside military gates, Davis said. With decreased monitoring, he said, “we think they would start up again” outside military bases, he said. Young service members who are particularly vulnerable to these lenders aren’t necessarily aware of complex laws that protect them, Davis said, and might not file complaints. Sources said CFPB is concerned that they don’t have the authority by law to conduct these supervisory examinations, and would instead rely on investigating service members’ complaints. “We think it’s important for CFPB to really be proactive,” Davis said. While the Defense Department developed rules to implement the law, DoD doesn’t have authority to enforce it with lenders. That’s up to federal regulators of financial institutions, such as the CFPB and regulators of banks and credit unions. The CFPB is the only regulator that examines the practices of nonbank establishments such as payday lenders, vehicle title lenders, installment lenders and certain others. The Military Lending Act is just one authority that they have examined, he said.